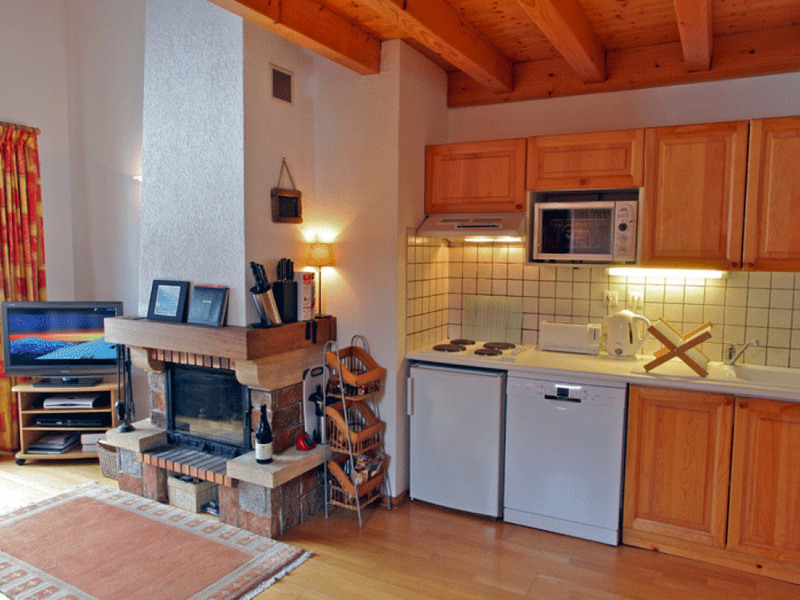 Chez Michelle is a spacious, very comfortable apartment in a traditional wood-clad building with wonderful views of the Giffre valley and Grand Massif mountain region. On the first floor there is a large living area with a log fire (logs supplied free), dining room table and chairs for 6 adults, comfortable sofas, a fully-equipped kitchen, one twin/double bedroom, one single/small twin bedroom, a bathroom and separate toilet, and two balconies. On the second floor there is a twin/king size double bedroom with en suite bathroom. There is also a sofa bed in the upstairs TV area. 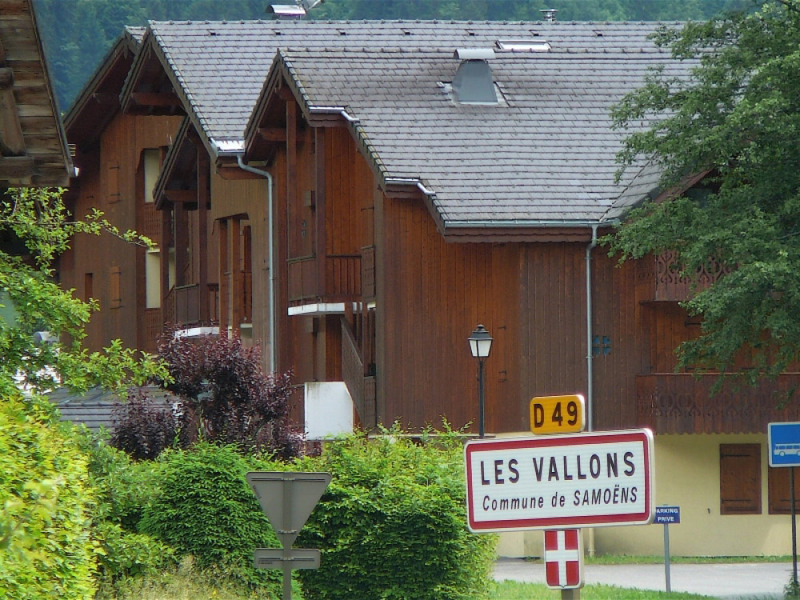 The apartment is set in a charming, tranquil conservation area in an historic farming hamlet 10 mins easy walk from the centre of Samoens. 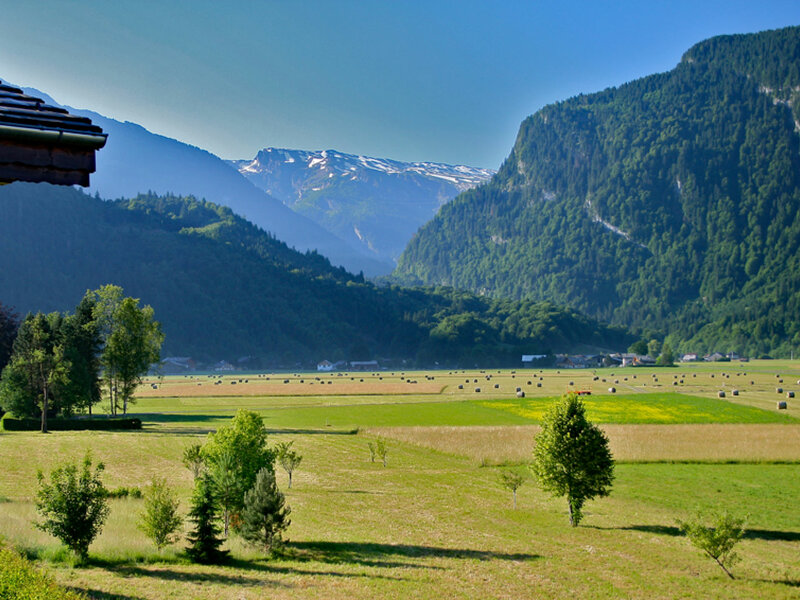 A breathtakingly picturesque alpine resort in both the summer and winter, the traditional French village of Samoens is in the heart of the Haute-Savoie region. 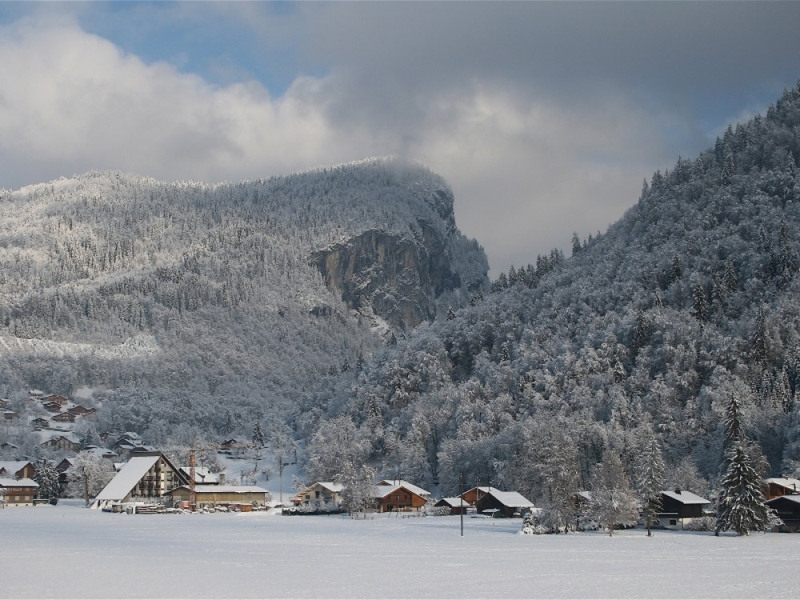 It offers everything from skiing, snowboarding and many other winter activities to walking and mountain biking in the summer. 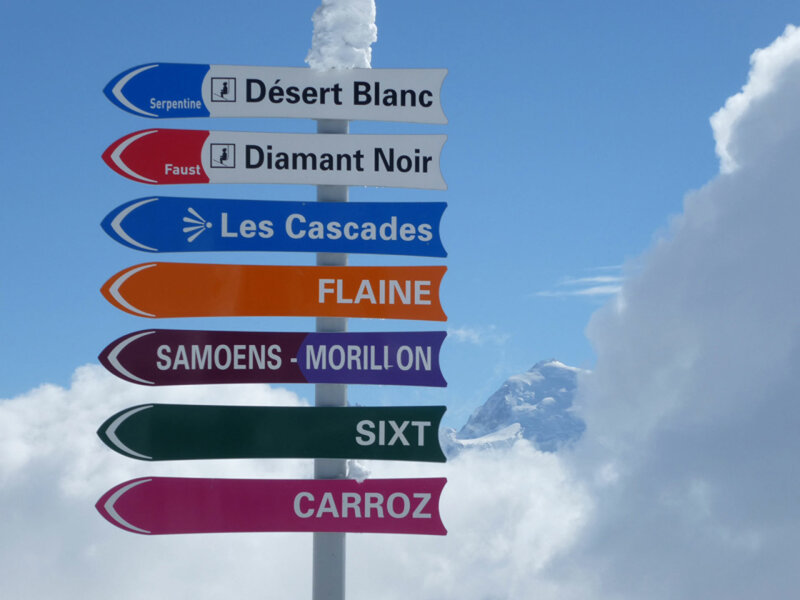 There are 265km of excellent piste in winter and 450 kilometres of marked trails of all levels of difficulty in the summer. 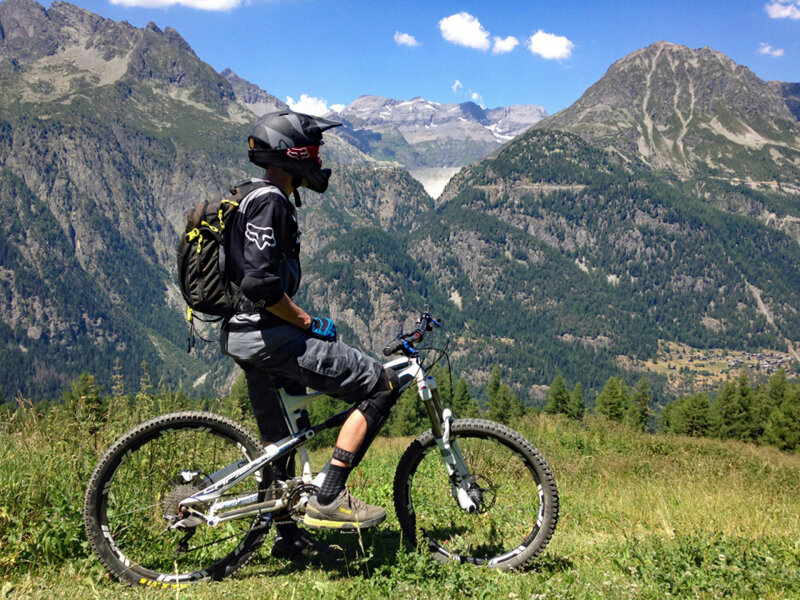 And you can trek on the glaciers of Mont Blanc if you're up to it! 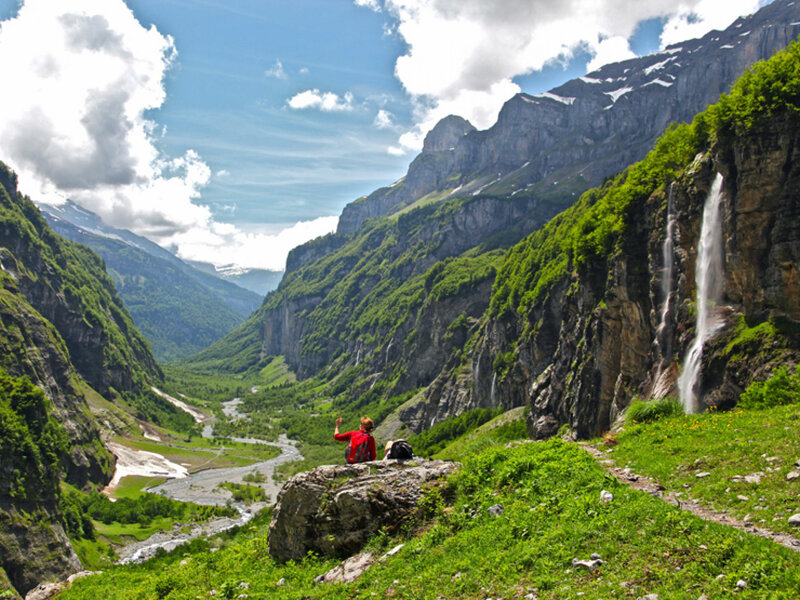 Canyoning, caving, canoeing and white water rafting are also offered in the summer. 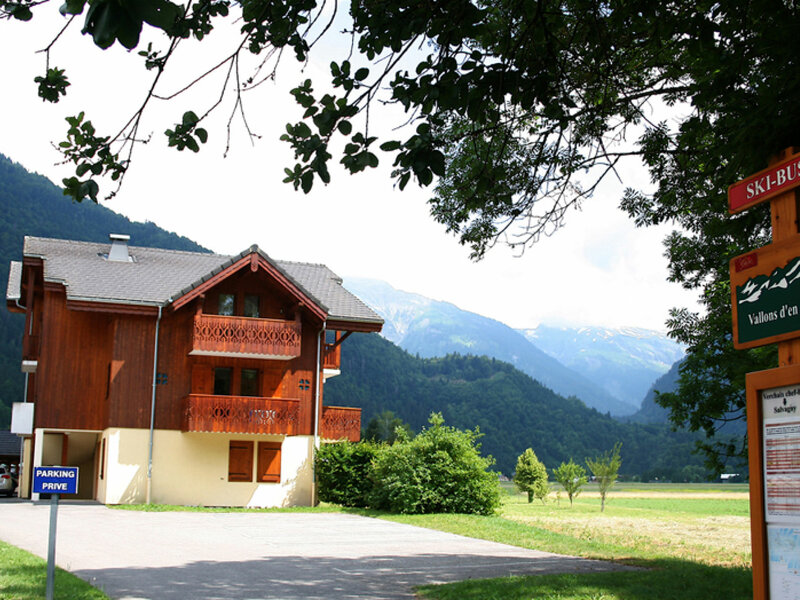 There is also tennis, horse riding, outdoor swimming pools, archery and jetskiing. 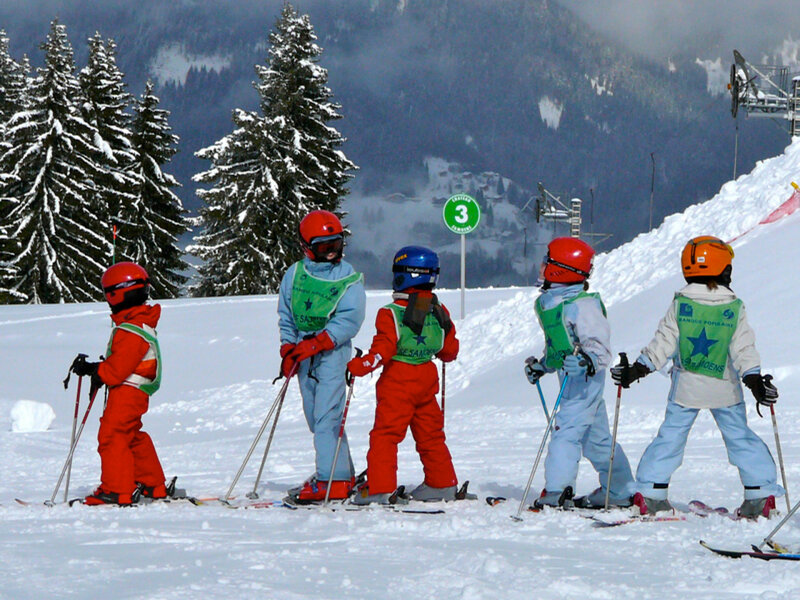 Ideal for families in general, Samoens is particularly good at looking after young children. Children under 6 can visit the House of the Little Mountain Folk which is a convivial place for parents and kids to play together. Entry is free. There is also a nursery open every day (except Sundays and public holidays) where the staff speak English. Pre-booking is recommended. 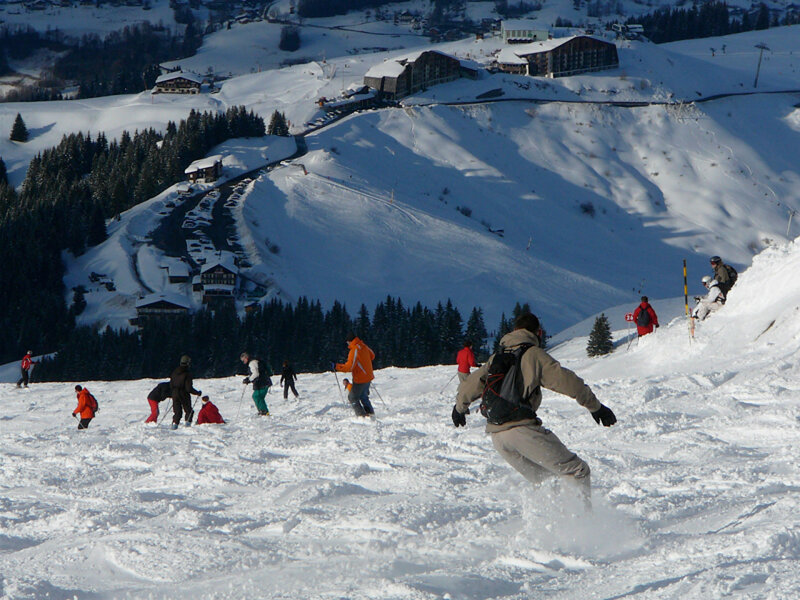 Chez Michelle is just 10 minutes easy walk from the centre of Samoens and on the bus route to the Grand Massif 8-seater gondola (8 minutes away) for high speed access to the slopes of Samoens 1600, Flaine, Les Carroz, Morillon and Sixt. 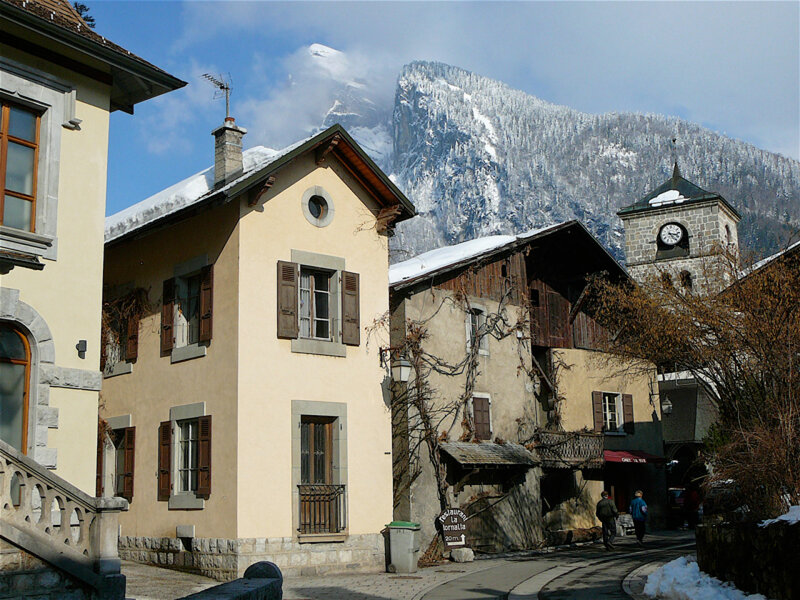 Located just 50 minutes from Geneva airport, the historic ville fleuri of Samoens is regarded by the French as such a classic that it is listed as a 'Monument Historique'. Medieval fountains, rustic old buildings, an 11th century church and tree-lined square provide a backdrop to your holiday. In the centre of the village is an impressive botanical garden with thousands of plants from around the world. 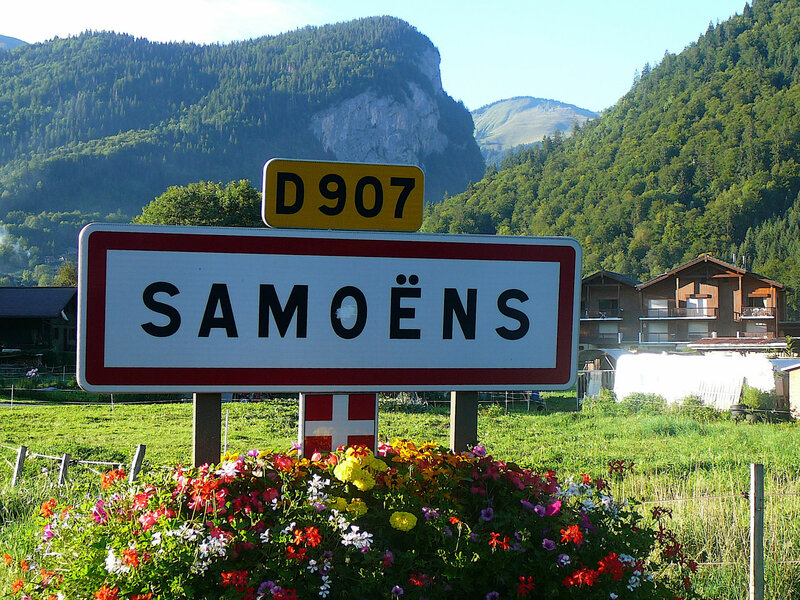 The host of traditional-style bars and restaurants give you a feel for real rural France. 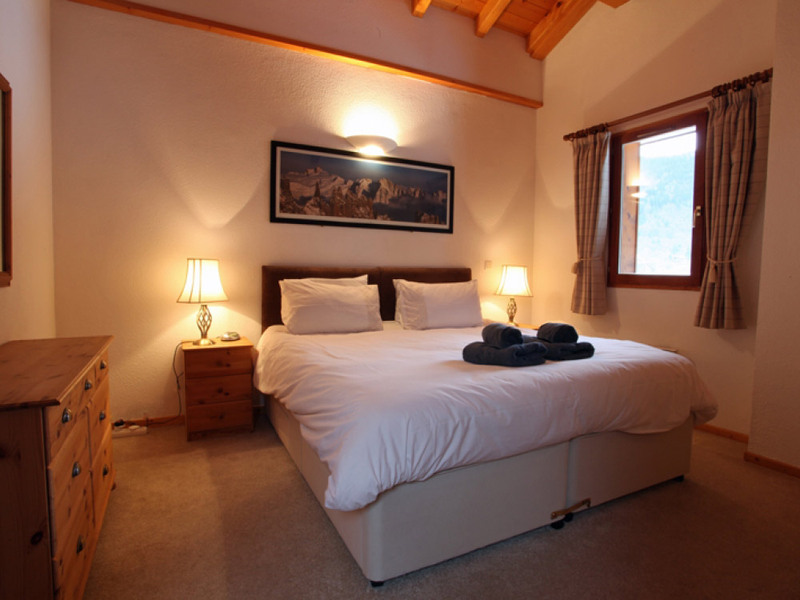 Chez Michelle offers two twin/double bedrooms, one single/twin bedroom, two bathrooms and a large living area. There is also a sofa bed on the mezzanine. 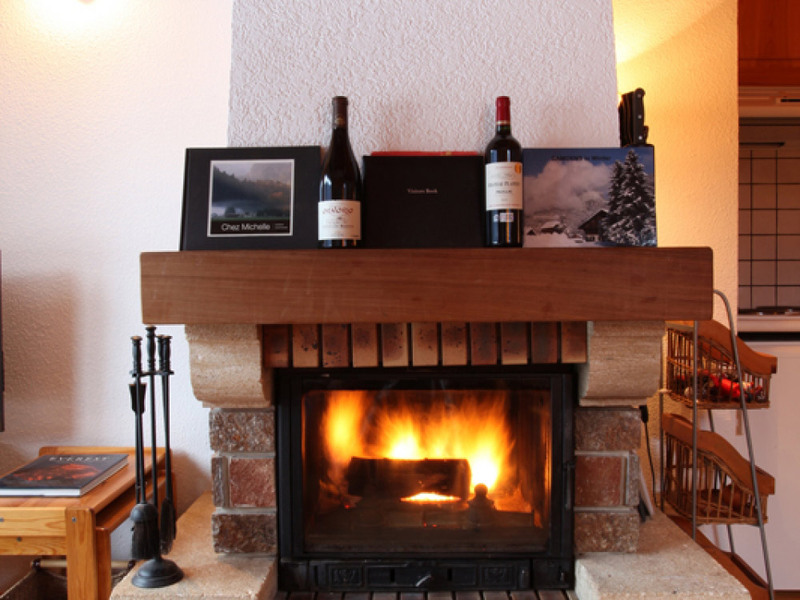 A real log-fire (logs supplied free) in the large living area creates a cosy atmosphere for that relaxing glass of wine at the end of an active day. Or you can enjoy the stunning views from either of the two balconies. The kitchen area boasts a fridge, dishwasher, microwave, washing machine and tumble dryer in addition to the cooker, hot plates and small oven/grill. 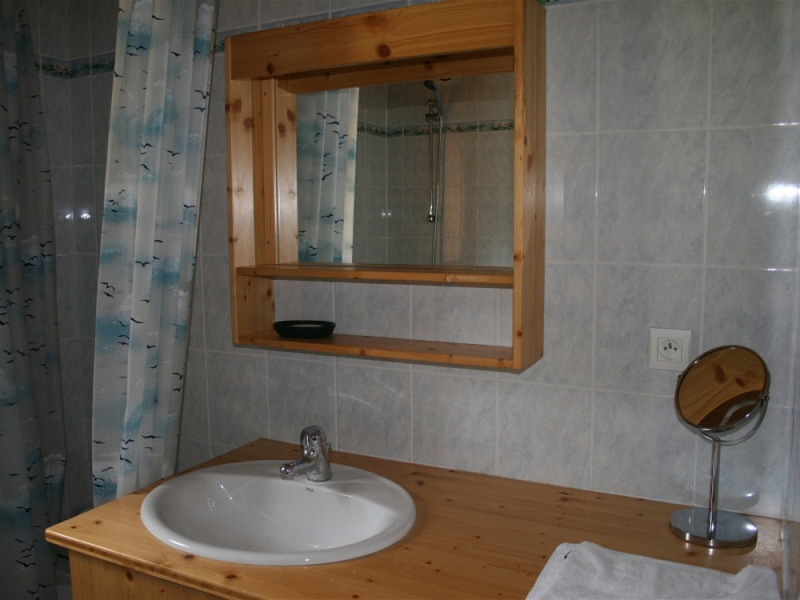 Bedding and towels, crockery and cutlery, and all essential cooking equipment is provided. 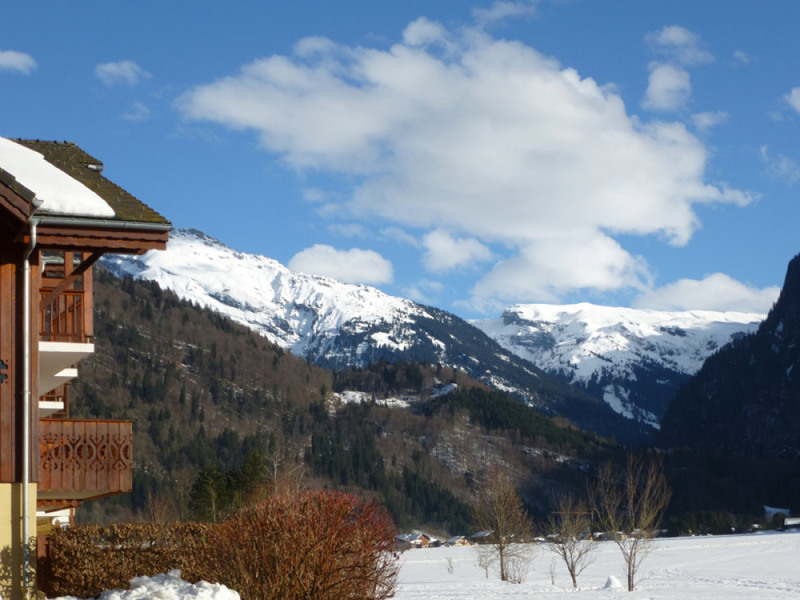 There is a slow cooker as well as a raclette set for you to enjoy traditional Savoyard dishes round the log fire. There are two flat screen TVs - one with a DVD/Blu-Ray player and satellite English channels including news, films and cartoons, the other, upstairs for DVDs/Blu-Ray DVDs only is where you send the kids after dinner! There's WiFi internet access and IPOD speakers and surface level parking for those with a car. A high chair and travel cot is also available for families with small children.